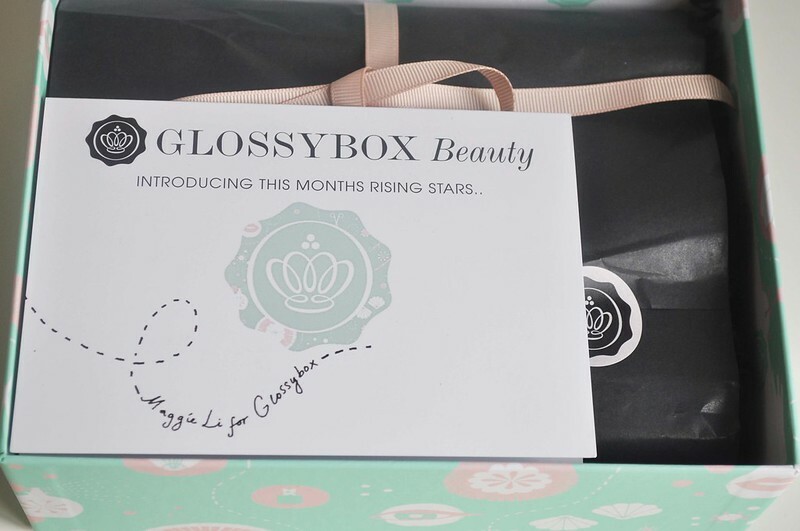 This months box* is designed by Maggie Li and it's definitely my favourite out of all the limited editions. It features one of my favourite colours, mint, and some really nice illustrations and is sitting nicely on show on my new desk. From looking at other peoples boxes I'm pretty disappointed with what was in mine. I was really hoping for the L'Oreal Mythic hair oil as it's been on my wish list for ages. Just looking at my box on it's own I think it's ok just not to my tastes. 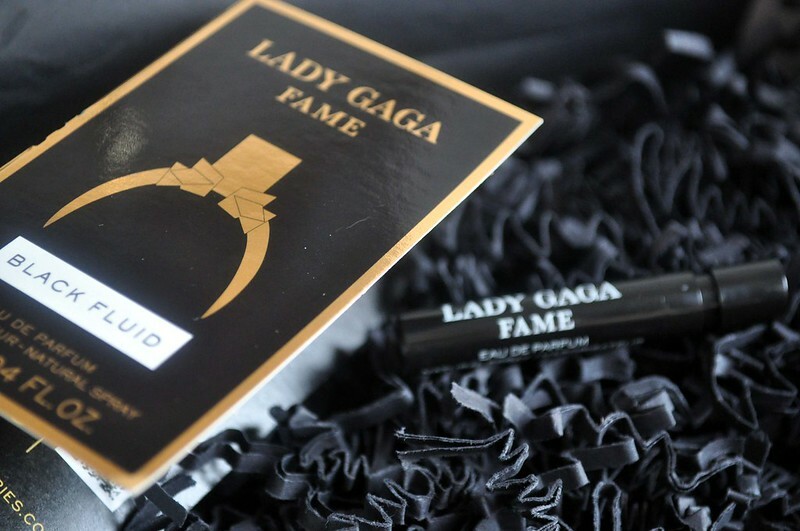 Lady Gaga Fame perfume - I was really pleased to see a sample of this in the box as I've wanted to see what it smelt like since reading reviews. It's a lovely scent, not as unique as I was expecting coming from Lady Gaga, but one I'd definitely be buying at some point. I was surprised to see that the sample wasn't in clear glass so you could see the black fluid. 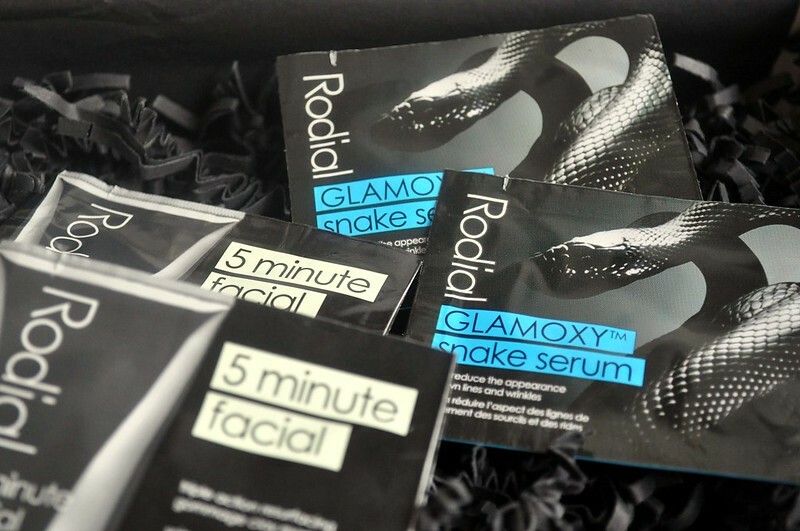 Rodial 5 Minute Facial & Snake Serum sachets - I'm looking forward to giving the facial a go as I really like clay masks. The snake serum isn't really for me so I'll be keeping these aside for a giveaway at some point. 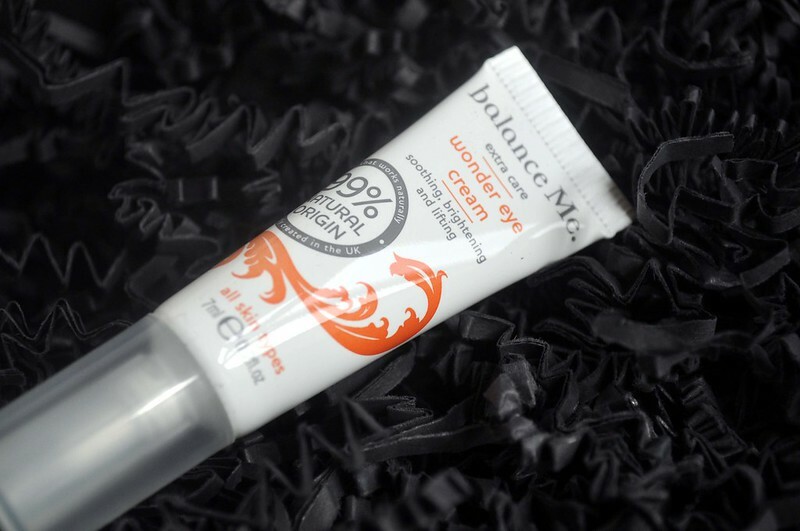 Balance Me Wonder Eye Cream - I've really gotten into eye creams recently so I'm looking forward to using this. I've really liked the other Balance Me products I've tried so hoping this will be just as good. 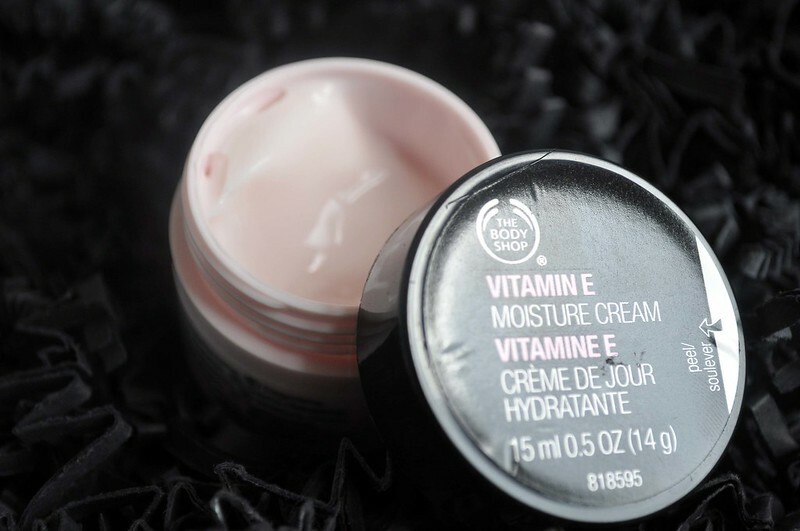 The Body Shop Vitamin E Moisturiser - This is very perfumed so I wont be using this on my sensitive skin. I was going to give this to my mum to try out but she doesn't like the scent either so again this will be going into the giveaway box. 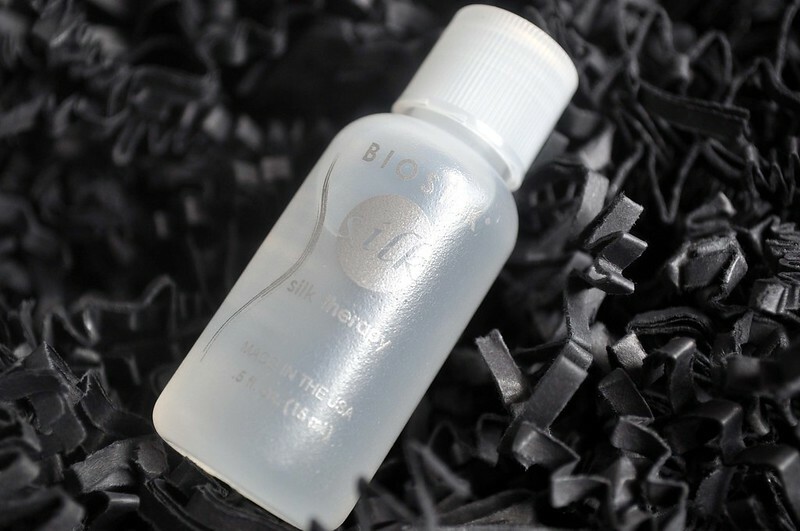 Biosilk Silk Therapy - This is a leave in hair treatment which I've actually owned before and not liked. It feels like it's full of silicone and another one that will be going into the giveaway box. I'm really surprised to see a Body Shop product in the box!